This is lovely Sylvie, the background looks super too! Beautiful, Sylvie!! Love that inking...and the tree is a great stamp! 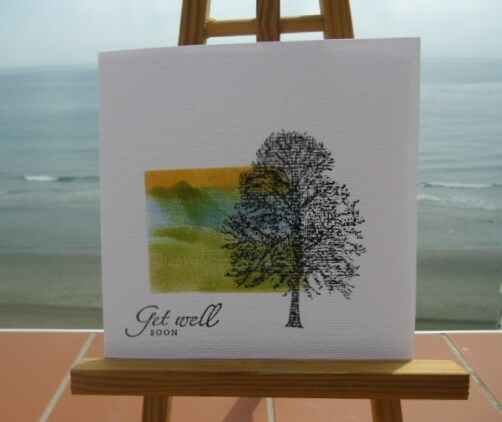 Lovely card, would cheer anyone up who's feeling poorly. I love the color blocking and the simplicity of this card! Nice! Boy, you sure have it hot there don't you! :) It's only 16C here today. Beautiful card Sylvie, hope you're not melting in those temperatures! Such a lovely card Sylvie. I love the colors against the dark tree.